We met sometime in the late 1980’s at a plant society meeting at Seattle’s Center for Urban Horticulture, apparently the only male members under the age of forty. Since the group skewed older, we were welcomed for our relative youth. We soon found ourselves chatting about the generational demographics. Steve and I shared an interest in the genus Primula and later discovered we were exactly the same age, sharing December 16th, 1948 as our first day on this lovely planet. The coincidence cemented a friendship, though it was a friendship focused almost solely on horticulture. Considering our differences in temperament and personality it seemed unlikely that the friendship would endure. Yet even though we drifted apart, we always reconnected on our birthday. I had become interested in plants and gardening in my mid thirties when, married and secure in my masculinity, I was able to indulge my love of flowers, gardens and the natural world. As a child of the 50’s and 60’s growing up in a working class neighborhood my interests were limited to sports. It seemed to me that a boy expressing an interest in flowers, art, and sadly even books was inappropriate, certainly frowned on by my peers and even many adults. So I behaved accordingly. Steve had a different kind of childhood. On one garden walk he explained to me that as a youngster in the 1950’s, suffering from both the effects of a Poliomyelitis infection (Polio) and the stigma attached to the disease, he would take walks in nearby woods, the plants and critters his only companions. That his treatment regime included antibiotics and mild exercise probably allowed his parents to approve of his solitary forays into the woods. Whether it was a walk in a Seattle park, trail-side in the woods or just a neighborhood stroll in West Seattle, Steve had a remarkable talent for pointing out the extraordinary beauty of flora in the natural world, be it an unusual cultivar, an overlooked native or a plant that deserved more use in gardens. His own garden, densely packed with choice plants, remained a bit of a secret until 1995, when it won a major local prize. Here it is pictured on the cover of the Seattle Times’ Pacific magazine. 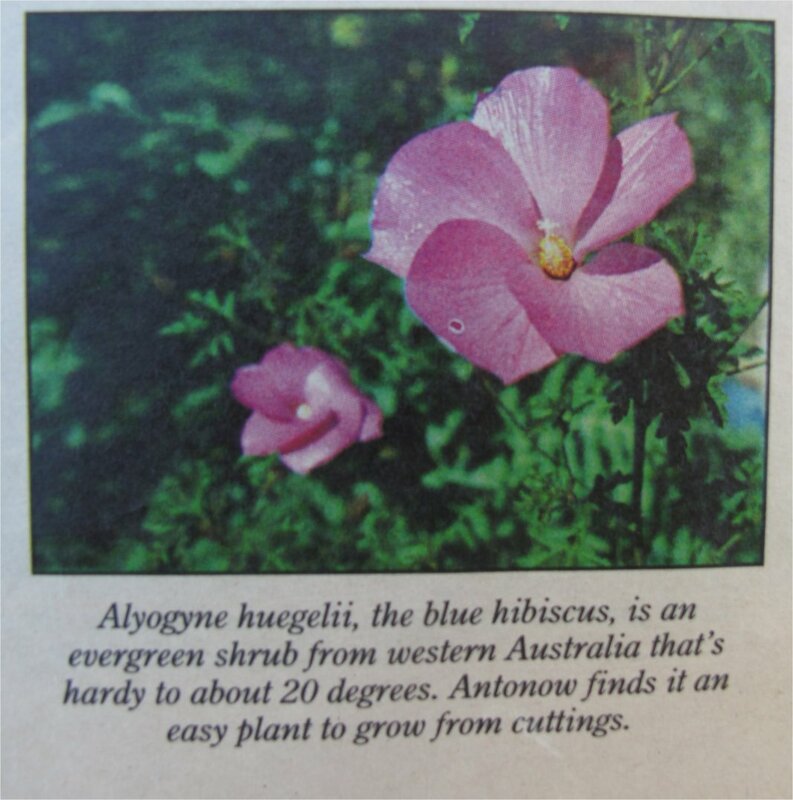 Antonow pays serious attention to color, form, texture and how each plant relates to its neighbor. He has an artist’s eye, in this sense, and can foresee the big picture while surrounded by minutia. The cultivated space is so intensively planted that if you shift your attention an inch there is a new rarity to consider. He is a Jesuit-trained classicist who weaves poetry into everyday conversation and radiates contentment when he plunges his hands into homemade compost. If Gerard manley Hopkins and Emily Dickinson are his kindred spirits, horticulture is his abiding passion. It is no wonder that Antonow has arranged his life so he can work with plants nearly every day. Steve retired early from a job with the federal government, I think he worked for OSHA in Chicago (he once mentioned testifying before Congress) and moved to West Seattle to devote all his energy to his passion for gardening. I’m not sure how long after we met he had purchased his house, but I believe he selected the Fauntleroy bungalow for the potential the backyard offered, rather than any amenities inside the house. Steve’s digs in West Seattle were Spartan and utilitarian, little to distract from his primary goal of working tirelessly to turn the backyard into a plant collectors paradise. The front yard of the house remained no different than the other houses on the block. The backyard was Steve’s secret garden, a sanctuary that changed daily. The garden featured tons of rose and clematis cultivars; all kinds of herbaceous perennials; espaliered apple, peach and pear trees, fig trees and a grape arbor. On one side of the central path Steve had salvaged a large trough and somehow had wrestled it to eye level, the better to enjoy smaller plants, like Dianthus, Saxifrages, and even some alpine Lewisias. I visited Steve’s garden at least three or four times after he won best garden in the 1995 contest, which was at that time sponsored by the Seattle Times and the Northwest Flower and Garden Show with the cooperation of the UW Arboretum Foundation (where Steve regularly volunteered) . First prize, was an all expense trip to the Chelsea Garden show in London. It would be the second time Steve visited English gardens. Say the name Vita Sackville-West and some will instantly think of Virginia Woolf’s “Orlando.” Others will picture Sackville-West’s magnificent garden at Sissinghurst, said Molly Hite, Cornell professor of English. Steve died on May 5, 2003 after a short bout with Pancreatic cancer, probably no more than six months after he was diagnosed. Although we had kept up regularly through the 1990’s we had fallen out of touch and hadn’t spoken regularly since our 50th birthdays in December of 1998. The last time I saw Steve was in 2001 when we ran into each other at City People’s Garden Center in Madison Park. That conversation was all too short. 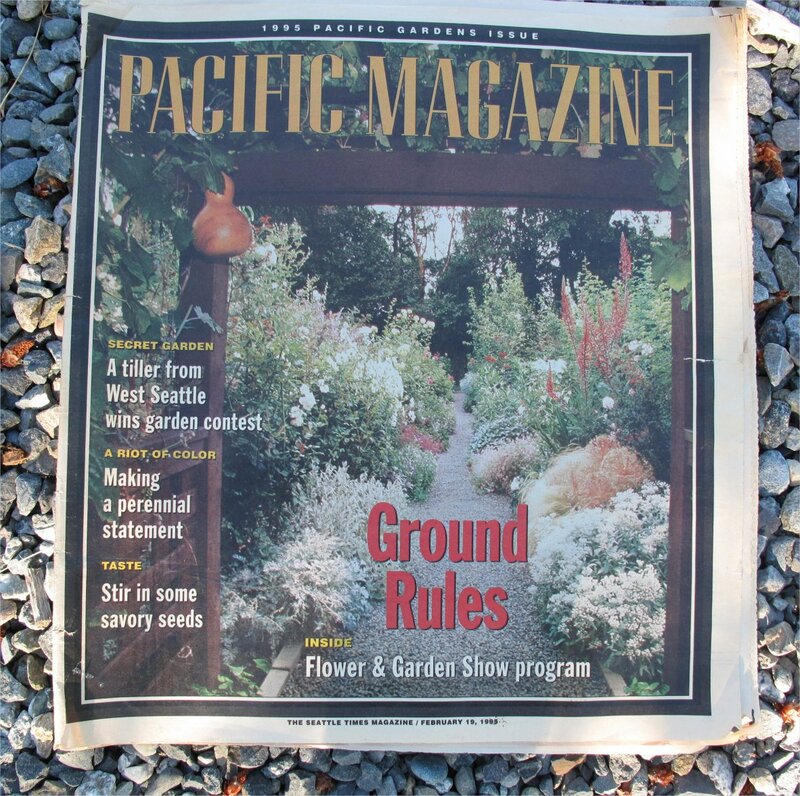 Note on the pictures: All pictures in this post, except the Melianthus are copies from my aging, yellowing 1995 Pacific Magazine, which was published as an insert in the Sunday Seattle Times. Those photographs were taken by Tom Reese and are probably copyrighted property of the Seattle Times. 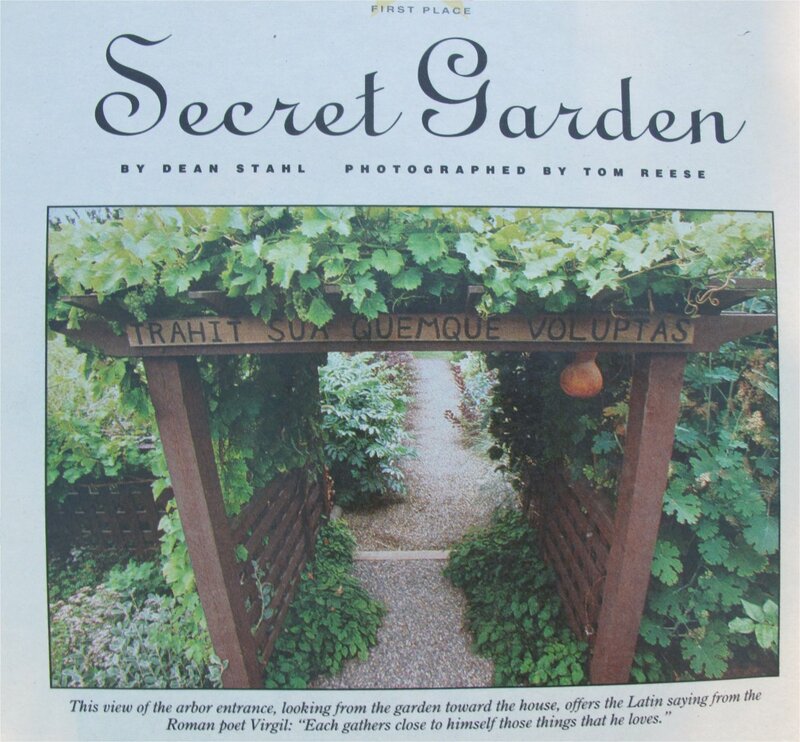 The full article, text without pictures, written by Dean Stahl, is still available online in the Seattle Times archives at Secret Garden. 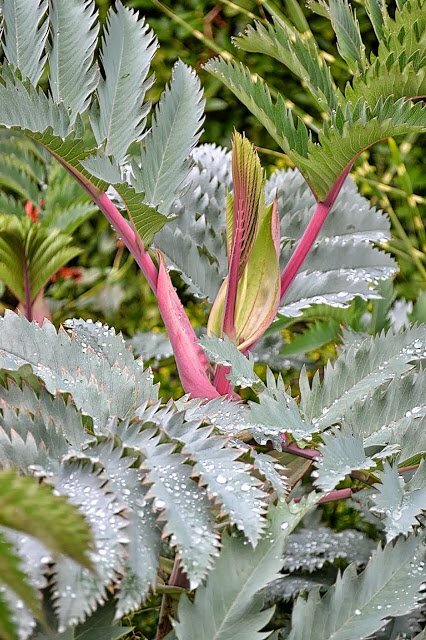 This entry was posted in Gardeners I've Known and tagged Melianthus major 'Anonow's Blue', Steve Antonow by Bart Arenson. Bookmark the permalink. What a wonderful tribute to someone who sounded like an amazing human being. The world is always better off for having had someone like that to appreciate the life force, and to be other-centered. Thanks for taking the time to comment Meg. I think about Steve often, especially when I’m puttering around the garden. I’m so glad there is a plant named for Steve, that his gentle soul and keen intellect will be remembered and that other gardeners in the Pacific Northwest will remember him — and just possibly add comments and memories of Steve here. We may have met. Steve was a dear friend, whom I knew through St. James. I was with him during his last days and am writing a book which includes a chapter on his death. May I have your permission to use the following quote from your blog? P. S. Would you like to read this chapter? It is 22 pages, double space. I’m so glad you found my post about Steve. And yes, I would like to read the chapter of your book that you devote to Steve. I will email you directly with more information. 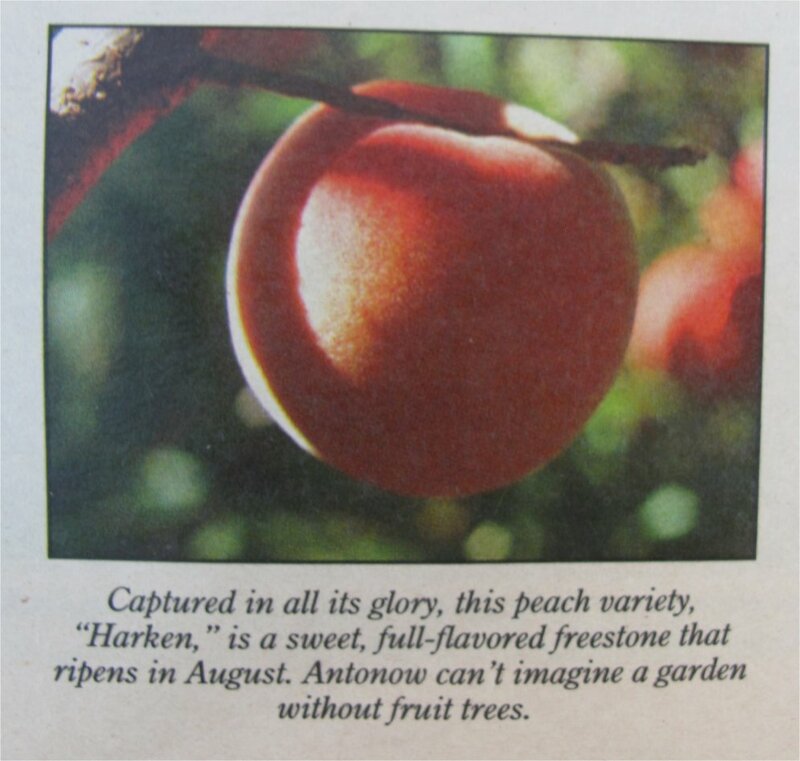 Regarding the quote: It is not mine, as I indicated in my post (by giving attribution to Dean Stahl), who was a reporter for the Seattle Times in 1995 when Steve’s garden won first prize in the Pacific Magazine Garden contest. When I wrote the post I tried to contact both Dean and the photographer, Tom Reese, whose pictures I used. Both attempts failed. I chose to publish my post and give attribution to Dean and include a link back to the original Seattle Times article. You can follow that link at the bottom of the post. By the way, Meg is the first person who commented on my post on Steve. My name is Bart. Thank you for writing this amazing article. I was the one and only nephew to Steven Antonow. He was an amazing man that lived life giving more to others rather than receiving. Hi Jeffrey. I’m so happy you found my article about Steve. You are so right. His intellect, generosity and caring nature were amazing. Steve was a constant visitor when I suffered a health crisis in 1991. His visits always buoyed my spirits. May his memory be a blessing for all who knew him.